Vincent D’Onofrio may be best known for his acting, from his early work in Stanley Kubrick’s Full Metal Jacket to his role in Tarsem’s The Cell through his extended run on “Law and Order: Criminal Intent,” but a few years ago, he decided to direct a movie and so was born Don’t Go In the Woods, a self-described “slasher musical” which puts a spin on the typical “kids go into the woods and are knocked off one by one” horror movie we’ve seen so many times over the last thirty odd years. Shock Till You Drop sat down with D’Onofrio earlier this week for the following video interview which started simply enough with us discussing his decision to direct and why he chose a “slasher musical” as his first movie, we then transition into the casting of non-actors and music, the influence of films like High Tension, and eventually we get into a fairly lengthy conversation about the quality of acting in horror films as well as briefly touch upon his work in Scott Derickson’s found footage movie Sinister, which D’Onofrio almost literally phoned in (via Skype). 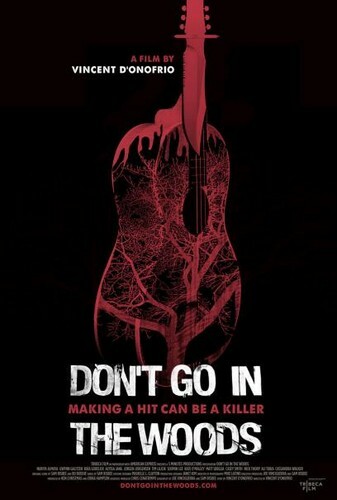 Don’t Go In the Woods is now playing on Video on Demand, but if you’re in New York City and looking to see some horror on Friday the 13th, it’s playing at the Cinema Village.